healed of ailments and so on. Galatians 3:13 says that “cursed is every man that hangs on a tree.” I’ve read that Roman upper class could never be crucified on a cross in that day because of a crime, because it was considered so very shameful. Reserved for the lowest, most vile criminals. So thecurse and shame that Jesus willingly took on on that cross He took on for us so that we’ll never have to. All of our sins are forgivenbecause of what he did. So that tree that Jesus willingly laid down His life on for our sakes has become for us a life giving tree. Jesus is the one Who has given us the opportunity for rebirth and for a Kingdom abundant life. with the Lord as we think about all of the goodness and love that He poured out for us all on that day. 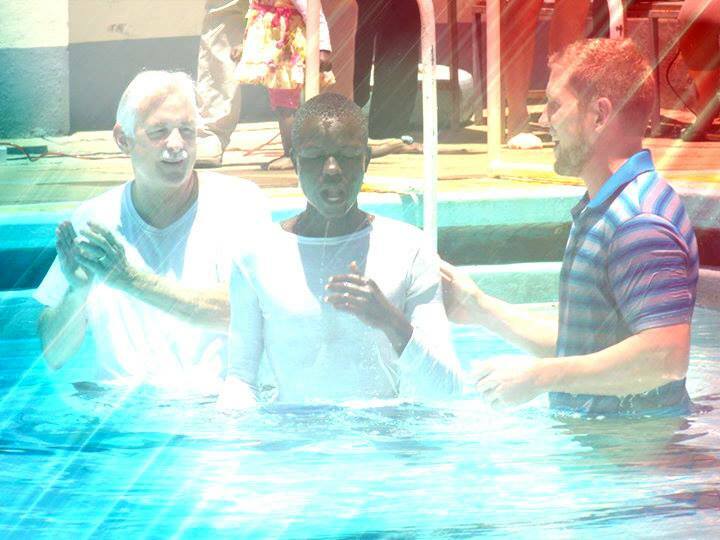 Martin and Brian being baptized in 2014.